The National Judicial Council (NJC) will hold an emergency meeting today over the suspension of the Chief Justice of Nigeria (CJN), Walter Onnoghen. The meeting will be held in Abuja by 10:00 a.m. Sources say neither Onnoghen nor Ibrahim Mohammed, the acting CJN will be allowed to preside over the meeting. Also, the Nigerian Bar Association (NBA) has scheduled an emergency meeting for today. The president of the association, Mr. Paul Usoro (SAN), announced the meeting on Friday. 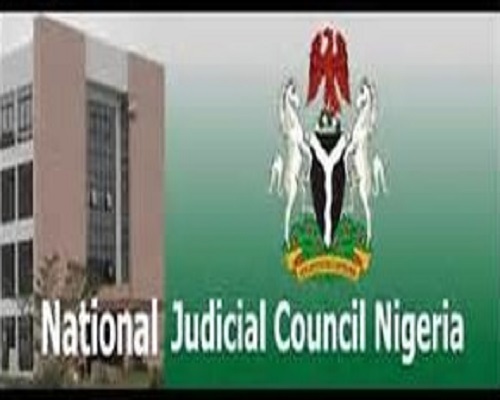 The body of lawyers in Nigeria had earlier condemned the CJN’s suspension. It is certain that the association will decide on the next line of action with regard to the crisis. Already, many of the past presidents of the association such as Dr. Olisa Agbakoba (SAN) are insisting that the body must resist the action, which they consider an assault on the constitution. Meanwhile, the tensed political atmosphere in the country ahead of the forthcoming general elections may have serious consequences for the economy and the citizens. Already, investors are interpreting the tension, now engulfing the judiciary, as “uncertainty”, “instability” and erosion of the rule of law capable of degenerating into anarchy and impacting investments negatively. Since the last four months, when political activities took an upswing, the activity level in the Investors’ and Exporters’ (I&E) FX Window has been low, with frequent back and forth weekly movement and falling to $549.9 million three weeks ago, against a near average of $900 million weekly. The economy has been weighed down by ongoing domestic concerns like the resurgence of Boko Haram attacks in the North East and the clashes between cattle herders and farmers that impacted agricultural output negatively. Consequently, the Gross Domestic Product (GDP) from the agricultural sector lost 1.16 per cent from 3.07 per cent recorded in the third quarter of 2017, to grow by 1.91 per cent in Q3 2018, while heightened capital outflows on the back of rising yields in developed countries and uncertain domestic political environment held the economy hostage since August 2018. The All Share Index (ASI) of the Nigerian Stock Exchange (NSE), which was the third best performing stock market in 2017, contracted by 17.81 per cent, as investors exited the market and repatriated capital. “It is worse, when the rule of law, as it is now, is subjected to ‘rule of thumb’ just to achieve political end. It is a signal that the justice system can be bent, and foreign investors get wary. He said the United States of America and the United Kingdom- Nigeria’s top sources of foreign investments, through their embassies, had already warned against the ongoing “annexation” of the country’s judiciary. “With Nigeria’s oil production now capped at 1.6 million barrels per day (mbpd) by the global oil cartel, against 2.3mbpd 2019 budget benchmark and uncertainty in oil prices, which has direct link to exchange rate and forex reserves, political maneuverings capable of sending wrong signals to investors would be punitive to the economy. The Lead Director of Centre for Social Justice (CSJ), Eze Onyekpere, lamented the continuation of the alleged anti-investment policy that President Muhammadu Buhari initiated since the commencement of his administration. “Investments cannot thrive in an environment of dictatorship, where there is no separation of powers and the president is literally an emperor, who takes arbitrary decisions not backed by law and his supporters go over the rooftops to support the desecration of due process of law. “Evidently, investors need certainty in laws and policies and administrative procedures; investments cannot thrive in an environment of uncertainty, nepotism and parochialism that do not respect the rule of law. “No one brings his money where he will likely be persecuted and lose his investment. Ghana received more foreign direct investment than Nigeria. It tells the story of the government and how its policies reflect on foreign investors,” he said. An Abuja –based development consultant, Jide Ojo, agreed that the unfortunate situation is capable of eroding investors’ confidence in the economy. “Foreign and indeed local investors, are likely going to view Nigeria as a lawless country where impunity reigns. No matter the offence the suspended top judge may have committed, the rule of law, checks and balances, constitutionalism and due process must be observed,” he said. There are strong indications that the heightening political risk resulting from the manner in which the country’s top judge was removed may trigger a pull back in the equity market to halt the bullish run witnessed in the market in the past few days. According to capital market experts, the implication is that the stability of the nation’s socio-political environment is seriously threatened, which would ultimately have a negative impact on investors’ confidence in the market. The Chief Research Officer of Investdata Consulting, Ambrose Omodion, said the removal of the CJN, “which depicts desperation to stay in power”, would further rattle investors’ confidence in the market and the entire financial system. “The possibility of a slowdown in position taking in blue chip stocks would increase tremendously. There would be a sell-off from tomorrow (today) that would pull the market down, but if the buyers are on the side of the government, the bullish trend may persist,” he said.